The march was underway when I hopped out of my Lyft to join the small but growing group of protesters. They were moving down Metropolitan Avenue in Southeast Atlanta, a street I’d driven over several times to go home and had grown familiar with. I am not new to protests, as I have been organizing in Atlanta for the past three years. The chorus of freedom and liberation that engulfed me as I entered the crowd was both familiar and comforting, and I would like to imagine that marching for freedom thrusts me and my comrades into a storied lineage of those who believe in dignity and respect against those who propped up violence and racial exclusion. But, as we slowly moved through the once thriving Black neighborhoods of Southeast Atlanta, I sensed that our fight was altogether different. We had taken to the streets to vocalize public grievances the community expressed with the sellingof Turner Field. I was at the march on behalf of a non-profit organization that I work with, #ATLisReady, to collect data for Our Future Atlanta (OFA) that would determine what issues were most pressing for residents: housing, transportation, health and food, safety, etc. As we made our way down to Hank Aaron Drive, the street that Turner Field is placed on, we came to a halt. 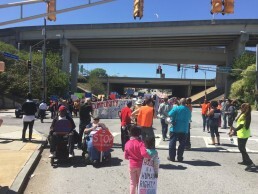 This march, which was named the March Against Gentrification, was an act of resistance against the displacement of Black Atlanta residents from their homes. When we terminated the march in the middle of the street, I knew something else was to follow. I quickly learned, along with every other protester, that residents opted to declare an indefinite sleepout—now known as #TentCityATL—with the intent to thwart all attempts by city officials and developers to gentrify their neighborhoods. In just a moment, leaders of the march—who were mostly elder Black women, frustrated with the threat of losing their homes—transitioned from marching in the streets to rallying on the sidewalk in front of Turner Field. While standing in front of what many used to know as an exciting development that is now just parking lots and memories, before it was time for me to speak about the OFA initiative, I listened as various leaders of different organizations and neighborhoods spoke about the need for an occupation that proved that we would not stop struggling for our freedom; that we were committed to justice and liberation; that we would passionately defend our right to exist in these spaces that the city and developers so desperately fought to remove us from. I heard some residents talk about living in their homes for twenty years or more. During this time, they became well acquainted with their neighbors, created community through their churches, and found solace in the fact that there was a body of people around them that looked out for their well-being. I listened as teenage kids talked about growing up in their specific community and what living in those spaces meant to them; detailing what walks to nearby corner stores were like and what building lasting friendships that originated in their childhood looked like. As the #TentCityATL occupation was declared, it was this moment that struck a different match in the Black liberation struggle in Atlanta. Respectable organizing, the type of organizing done in courtrooms, with suits and ties, in offices with elected officials and attorneys, has proven to be mostly unsuccessful and residents are far too committed to their survival and the success of their efforts to continue on in a way that isn’t strategic. 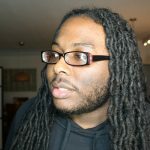 I understand gentrification to be a process of renewal and rebuilding [historically Black] neighborhoods, which often comes with an influx of middle-class or affluent (re: white) people, thus leading to the displacement of poorer residents who have built a life and many memories in these spaces. This has been the outcome of housing ‘development’ in “urban” neighborhoods. ‘Development’ is contingent on the power that capital grants a specific demographic, whereby I mean that it is determined by who has a financial stake in the movement and structure of entire cities. Historically and presently, this has meant that housing developers and affluent white people control how spaces are developed and who gets to reside in these spaces. In Harlem and other parts of East New York, residents have witnessed areas where Black historical figures once stood to make historic and cultural speeches be disfigured and replaced by liberal, beatnik-like businesses in a matter of weeks. However, development does not have to be a destructive thing. Activists and organizers can push for revitalization that benefits the community instead of developers, much like organizers in Baltimore have. Oftentimes, the cities that are being gentrified are communities that have long been neglected and are in dire need of a reconstruction that is affordable and does not remove them from their homes. This is true for Atlanta. 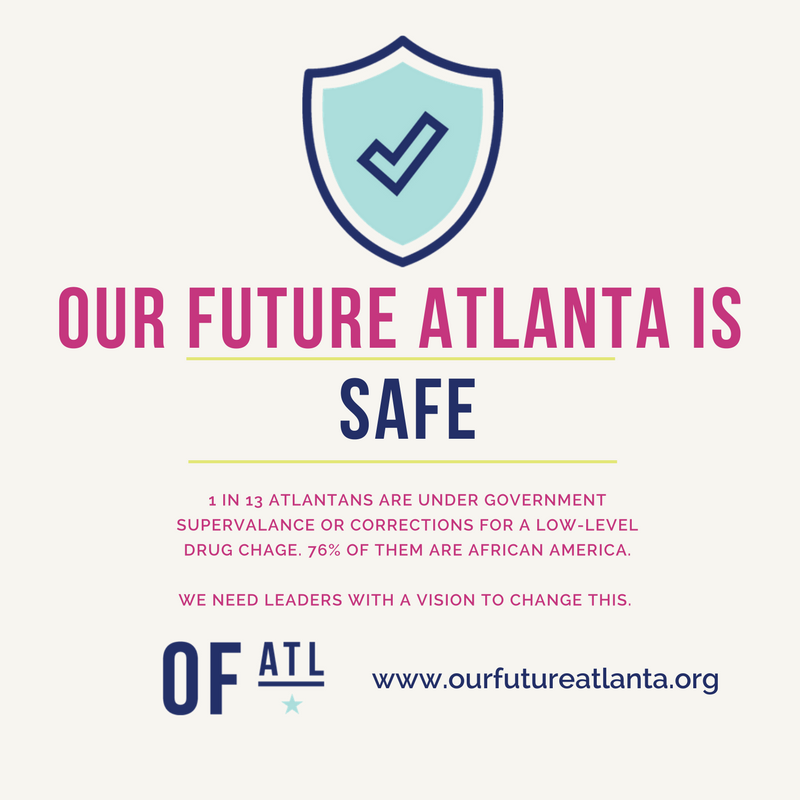 Atlanta officials and developers have failed the city’s most vulnerable communities by neglecting to focus on issues that are most pressing for us and instead investing in development that removes residents from their homes, leaves residents without resources, and adds to the criminalization of Black lives. 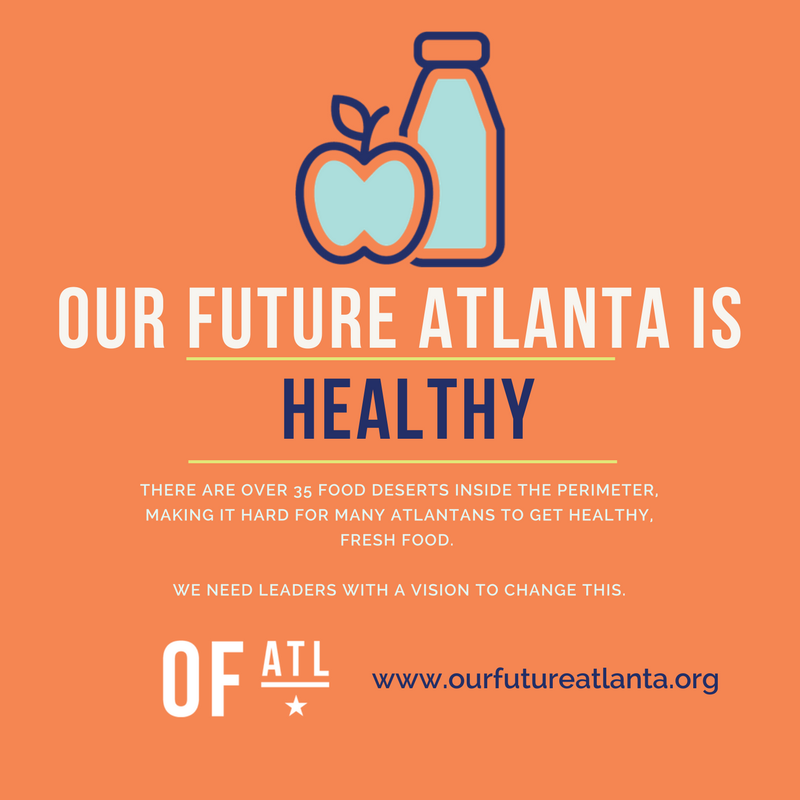 As detailed by OFA, less than 20% of Atlanta residents have health insurance and there are over thirty-five food deserts in the city; a household should not spend more than 30% of their income on rent or mortgage and upkeep, yet ½ of Atlantans spend over 30% of their income on housing costs and ⅓ pay over 50% of their income on housing costs; the city is ranked one of the most unequal cities in the nation, and one in thirteen of Atlantans are under government surveillance or corrections for a low-level drug charge, 76% of which are Black. Cities and developers should have a moneyed investment in Black communities along with a vision to see our communities flourish without removing their residents. For example, in neighborhoods that make up the NPU-V—the neighborhoods that declared the #TentCityATL occupation—residents have been fighting for developers to invest less than $100,000 in their neighborhoods. That money would be invested in local infrastructure, police accountability, employment opportunities, and education. 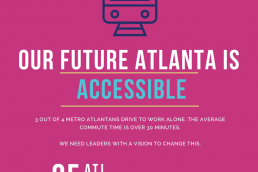 Atlanta is a complex city in a complex situation, however. As a city dominated by majority Black leadership declaring war against Black communities via housing development, navigating the struggle against gentrification looks different for us. Populated by affluent Black residents and college students, who attend historically Black institutions like Spelman College, Morehouse College, and Clark Atlanta University, the city has been considered one of the most advanced cities in the country for Black Americans. Serving as an incubator for many civil rights leaders during the Civil Rights Movement, Atlanta was home to esteemed Black leaders like Dr. Martin Luther King, Jr., Julian Bond, Cleveland Sellers, Patricia Rodney, Able Mable, and several others who organized at the forefront of the Civil Rights, Atlanta Student, and Student Nonviolent Coordinating Committee (SNCC) movements. 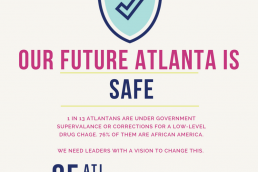 For well over forty years, the City of Atlanta has had a Black mayor elected into office. However, despite the city’s rich Black history and treasured and honorable Black leaders, Black residents of the city have been fighting to survive gentrification, homelessness, and the sheer vitriol associated with living in poverty for decades. In 1996, Atlanta welcomed the task of hosting the Olympics, causing residents of under-resourced Black communities like Peoplestown and Summerhill to be displaced from their homes and forced into homelessness. As an attempt to ‘clean up’ the streets before the astronomical revenue from the olympics arrived, city officials started a campaign called Project Homeward Bound. This program was a flagrant act of class warfare, attempting to remove homeless people from the city by nearly forcing them to sign a form stating that, as long as they have proof of a job and/or family awaiting their arrival at a destination of their choice, they would leave Atlanta and would not be allowed to return. Many police officers would even rally homeless people, giving them one-way tickets to specific cities with the promise that there would be a home waiting for them there, and there never was. 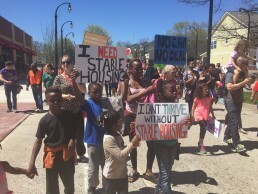 In response to these efforts to redevelop the Westside and NPU-V, many community members and organizers responded with several protests and organizing efforts to preserve what they could of their neighborhoods—neighborhoods that they grew up in, raised children in, built community in, and worked tirelessly to sustain. Among these residents and organizers was long-time Peoplestown resident and organizer, Columbus Ward. In April of this year, the #TentCityATL occupation was erected and Ward was one of the lead organizers. This occupation, just as various other protests that Ward engaged in during the 1996 Olympics, was in direct response to the city and corporations prioritizing profit over the livelihood of the citizens. As one of a host of residents, organizers, and students at the front of this fight, I had the pleasure of listening to Columbus Ward share his experiences. After organizing a weekly Atlanta student night at #TentCityATL—through an organization that works to leverage the privilege of college students through aiding in community organizing initiatives, called Atlanta Black Students United—I have been able to listen to Ward, specifically, discuss watching the community’s libraries, ice cream shops, and grocery stores be turned into parking lots, only to now see the city attempting to expand these projects by taking away their homes. I have listened as residents told their war stories, from canvassing with the Black Panther Party, to fighting legislation introduced by Black politicians; from marching alongside Martin Luther King, Jr., to combatting developers and White Liberals attempting to gentrify their neighborhoods. 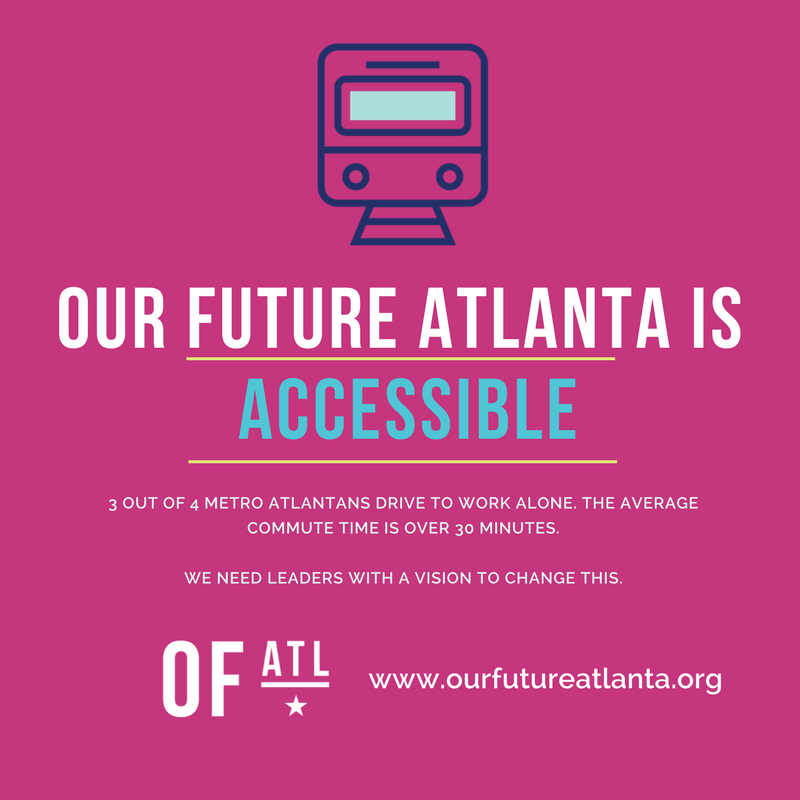 We must remember this as Keisha Lance Bottoms begins her tenure as Atlanta’s new mayor. Bottoms, who once headed District 11 Atlanta and served as the executive director of the Atlanta Fulton County Recreational Authority, facilitated and supported the selling of Turner Field as was—void of any involvement with/from the community. Being that the recreational authority owned Turner Field at the time, Keisha had the power to include the Livable Centers Initiative community recommendations, or a binding Community Benefits Agreement (CBA). Instead, she opted out of doing so, telling organizers and residents that community benefits would “slow down the sell.” As it was once reported, it is confirmed through those actions that she is not invested in the communities she was charged (and elected) to represent. If she supports gentrification as just the head of a district, it is clear how much damage she could do as the head of an entire city. This resilience we have constructed comes from a righteous anger, a rage, in having to fight for/convince Black people with enough power to aid in shifting culture to care beyond bombast and talking points. It comes from enduring endless anti-black policies like the ones introduced under Kasim Reed’s mayoral reign—and the ones that will come from Keisha Bottoms’; from watching institutions like Morehouse and Spelman College, who birthed many well-known revolutionaries and theorists, engage in the “rebuilding” process of Atlanta’s Westside by allowing racists and gentrifiers like Dan Cathy to sit on their Board of Trustees. Battling gentrification in a city that is expected to revive, or give new life to, Black people is difficult to navigate. In many cities in the United States, the folks introducing the policies are white, making it easier to draw a connection to anti-black racism. Whereas, in Atlanta, where Black wealth and politicians are abundant, one has to be prepared to do the laborious, heavy and demanding work of teaching people just how structural anti-black racism is and how to fight it. It can be exhausting and exceptionally strenuous. However, the small victories we win on the way to holistic Black liberation make it sufficiently successful. Not any less painful, or any less harmful, or any less dangerous, but worth it. Black power is not the Black politician that sits in an office away from the community, nor is it the administration of Black institutions that work effortlessly to teach their students and constituents that assimilation is the key that opens the door to liberation. Black power is the resilience amongst the People that allows us to resist in the face of adversity. If we truly care about racial justice, both within and outside of America, we must do more to combat the racial injustices around the globe. This means that if Atlanta is to live up to its name as the city of Black revival, city officials must think proactively about how development in ‘urban’, ‘inner-city’ areas will impact their most marginalized residents. 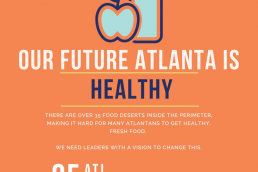 This is what makes efforts like #TentCityATL imperative for the growth of the city. The occupation is fueled by a resistance that encourages a revitalization process that is subversive, in that it offers a blueprint for developers to improve historically Black spaces without removing the people who have occupied them for decades. It gives residents job opportunities, access to an education and healthcare, and a safer environment to live in, all while allowing them to stay in their homes. This would reduce homelessness, crime rates, and sickness in the city. The Black freedom struggle in Atlanta—of which TentCityATL has been the latest example of—is proving that it is not impossible to build a future void of capitalist, anti-black settlements if we are committed to justice and liberation.